NEW DELHI: Indian Prime Minister Narendra Modi on Saturday disparaged the ruling Congress in Himachal Pradesh by comparing it to termites and urged people to completely wipe out the party from the state by giving an unequivocal mandate to the BJP in the November 9 assembly election, reports PTI. “The ills plaguing Himachal Pradesh can only be cured by completely rooting out the termites that is the Congress party,” Modi said at a campaign rally in Rait. 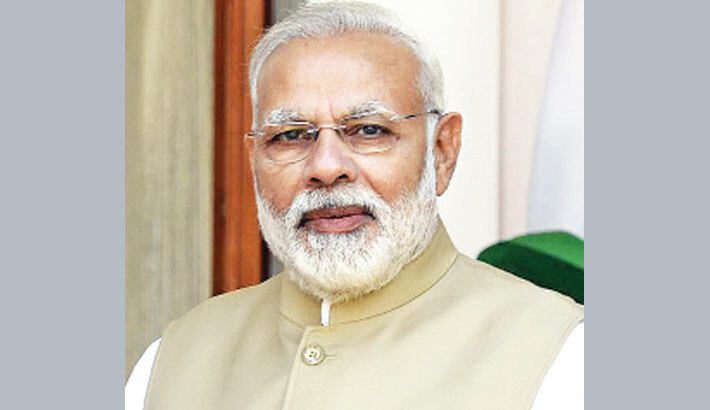 The Prime Minister claimed that the Congress had already acknowledged defeat in the upcoming polls and abandoned chief minister Virbhadra Singh to his fate. “No senior Congress leader came here to campaign. They have already left the field leaving everything on fate,” he jibed. Flaying the party for its alleged corruption, Modi said there was anger in the hearts of the people of Himachal and on polling day, the Congress the reap the “fruits of its sins”. “I haven’t come here to ask you to make BJP win. I have come here to ask you to give it a three-fourth majority and send the Congress packing from every constituency in the state,” he appealed to the gathering in the hill state’s largest district. Slamming the Congress’ decision to mark the first anniversary of the demonetisation as black day, PM Modi said “habitual looters” who had to return their ill-gotten wealth wouldn’t let him be at peace. “They (Congress) are going to celebrate November 8 as black day and burn my effigies. They don’t know that Modi is a disciple of Sardar Patel and won’t be cowed down, he’ll keep fighting against corruption,” he declared.